Your temporomandibular joint is responsible for all of the movement in your jaw. Within and surrounding this joint is an incredibly complex system of muscle, bone, discs, and nerves that must all work in conjunction to ensure comfort and function. TMJ is the name given to any number of disorders affecting the jaw joint. These issues may be caused by things such as grinding the teeth, stress, disc erosion, cartilage damage, or trauma, but in many instances the exact cause of TMJ disorder is unknown. This page will provide some basic information about the causes and symptoms of TMJ disorder, but it cannot make any recommendations about your particular condition. The best way to determine whether you are suffering from TMJ is to speak with Dr. Frank in person. 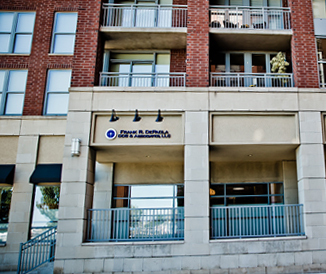 Please call 201-792-9400 today to schedule a consultation at our Hoboken dentistry office. 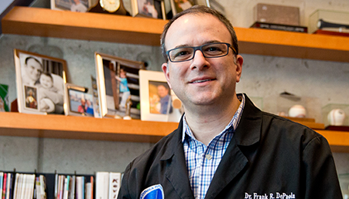 Dr. Frank often detects signs of TMJ disorder during you regularly scheduled dental visits. However, symptoms of TMJ can occur at any time. If you are experiencing any of the symptoms of TMJ disorder, it is important that you visit our Hoboken dentistry office for a TMJ diagnosis evaluation as soon as possible. Left untreated, TMJ can result in chronic pain and a number of systemic problems. We utilize state-of-the-art diagnostic tools to track the movements of your jaw. Combining these methods with hands on evaluations, we can determine the treatment most suited to restore alignment, comfort, and strength. If you live in or around Hoboken or Jersey City, New Jersey and are suffering from any of the symptoms of TMJ disorder, please contact the Practice at Maxwell Place using the form at the right side of the page or call 201-792-9400 today to schedule a TMJ evaluation.